Three versions worldwide, including U.S.-bound 745e xDrive. The second-generation BMW 7-Series plug-in opts for a bigger engine and bigger battery. BMW continues its push to electrify its line-up with the official launch of the new 745e model. Three different versions of the plug-in hybrid will be offered worldwide, including the 745e, the 745Le and the 745e xDrive, the latter being the only variant planned for the U.S. market. The new model marks the second-generation 7-Series plug-in but gets a complete makeover under the hood, abandoning the previous model’s 2.0-liter inline-four gas engine in favor of a 3.0-liter inline-six. Paired with a single electric motor, the package is claimed to delivered both improved performance and longer range when operating in EV mode. 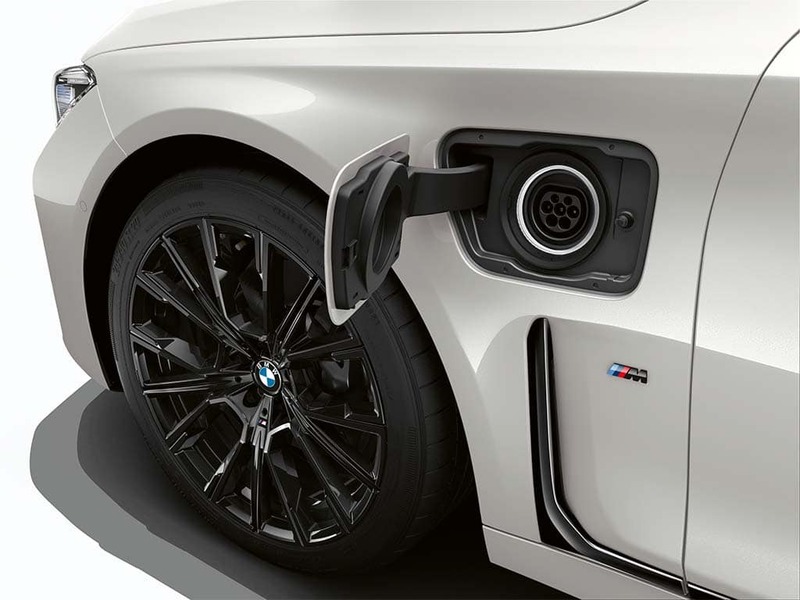 Part of the credit for those improvements comes from the increase in the size of the 745e sedan’s lithium-ion battery pack from 9.2 to 12.0 kilowatt-hours. 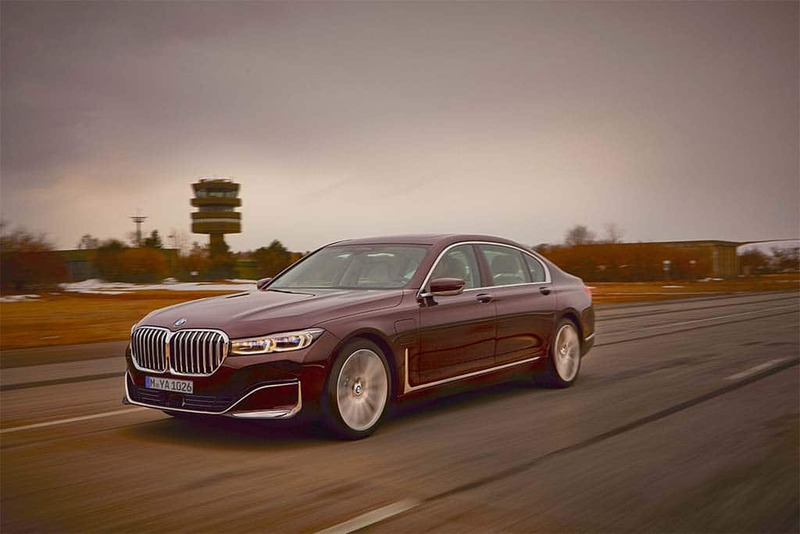 “The new drive system gives the plug-in hybrid models of the new BMW 7 Series optimized sprint capacity,” the automaker explains. The xDrive version coming to the states will be able to launch from 0 to 100 kmh, or 62.5 mph, in just 4.9 seconds, with top speed limited at 250 kmh, or 155 mph. The plug-in is rated at 34 miles in battery-mode, but U.S. versions may get a bit less. The new six-cylinder gas engine makes 282 horsepower and 332 pound-feet of torque, up 28 hp and 37 lb-ft from the old four-cylinder model. The engine is paired to a single electric motor mounted inside the sedan’s eight-speed automatic transmission. The motor itself makes 111 hp and 195 lb-ft.
Because the motor and gas engine reach their individual peaks at different times, the BMW 745e xDrive is officially rated to punch out a combined 389 horsepower and a peak of 442 lb-ft of torque in Launch Control mode. The conventional, 3.0-liter twin-turbo version of the BMW 7-Series makes 320 hp and 330 lb-ft. The added output of the plug-in package helps offset the 745e xDrive’s heftier mass, a total of 5,964 pounds. The larger battery, meanwhile, significantly boosts range in all-electric mode. Using the European test cycle it is rated to deliver an average 34 miles before discharge, up 6 miles from the old 7-Series plug-in. How that will hold in the U.S. is uncertain, however, as the EU numbers are typically as much as a third above what the EPA will give the identical product. In European trim, meanwhile, the three models are rated to use as little as 2.1 liters of fuel per 100 kilometers. That would translate into a rating of 112 MPG-e though, again, the EU authorities are much looser than their American counterparts. Like all versions of the 2020 7-Series, the 745e xDrive will get modest mid-cycle interior tweaks. The new plug-in hybrid joins the broader BMW 7-Series line-up getting a mid-cycle refresh for the 2020 model-year. Expect all the new U.S. versions to reach showrooms by mid-April. Some features will only be available outside the U.S., but the American 7-Series will offer buyers the option of either standard Adaptive Full LED lighting or the more advanced BMW Laserlight. The latter system projects its beam significantly further down the road though, because of State-side safety regulations, buyers won’t get the full-strength laser lamps available in Europe. Beyond all that, look for relatively modest tweaks to the interior – at least in terms of what you can see. 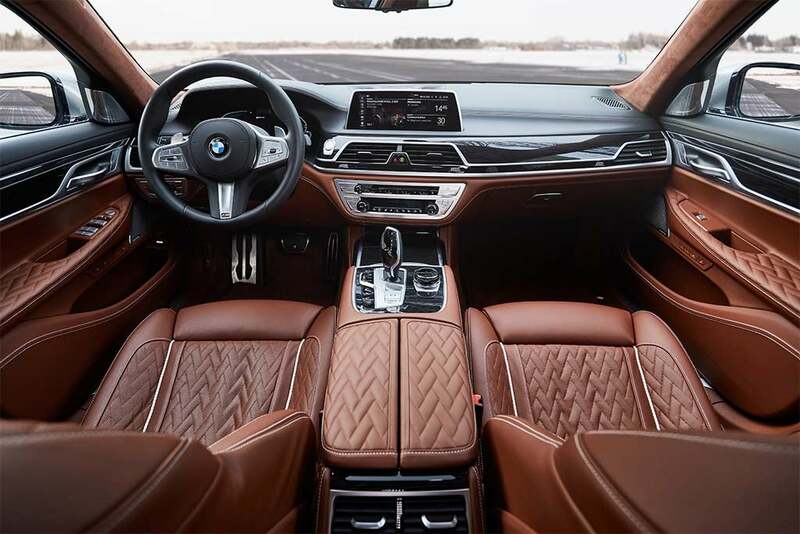 The 2020 model year brings the addition of the latest BMW infotainment system including the Bavarian equivalent of the Amazon Alexa voice assistant. Just say, “Hey, BMW,” and you’ll be able to issue commands in much more natural speech. Tell the car, “I’m cold,” and it will turn up the temperature; “Take me home,” and it will set up the navi system. Ask, “How far can I drive until I need to refuel?” and it will tell you what range is left. The plug-ins will also offer additional information for those searching for a place to charge up. This entry was posted on Friday, February 1st, 2019 at and is filed under Automakers, Automobiles, BMW, Business, EVs, Electrified Vehicles, Environment, First Look, Fuel Economy, Infotainment, Luxury Vehicles, Regulatory, Reviews, Sales, Sales, Sedans, Technology, Trends. You can follow any responses to this entry through the RSS 2.0 feed. Both comments and pings are currently closed.